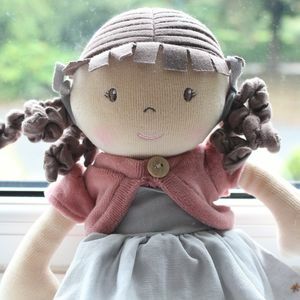 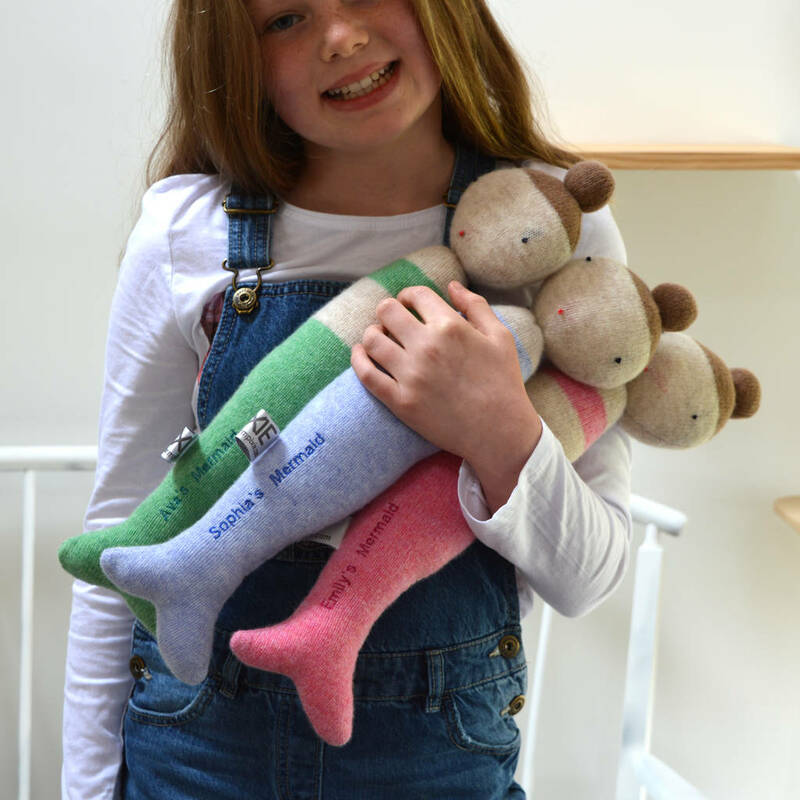 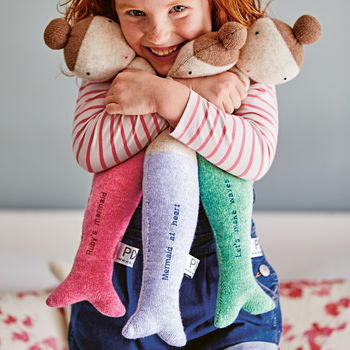 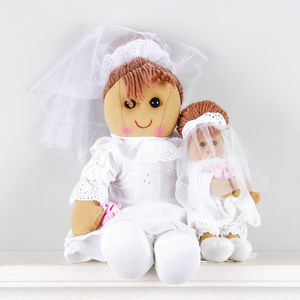 A beautiful personalised mermaid soft toy doll available in three different colours. 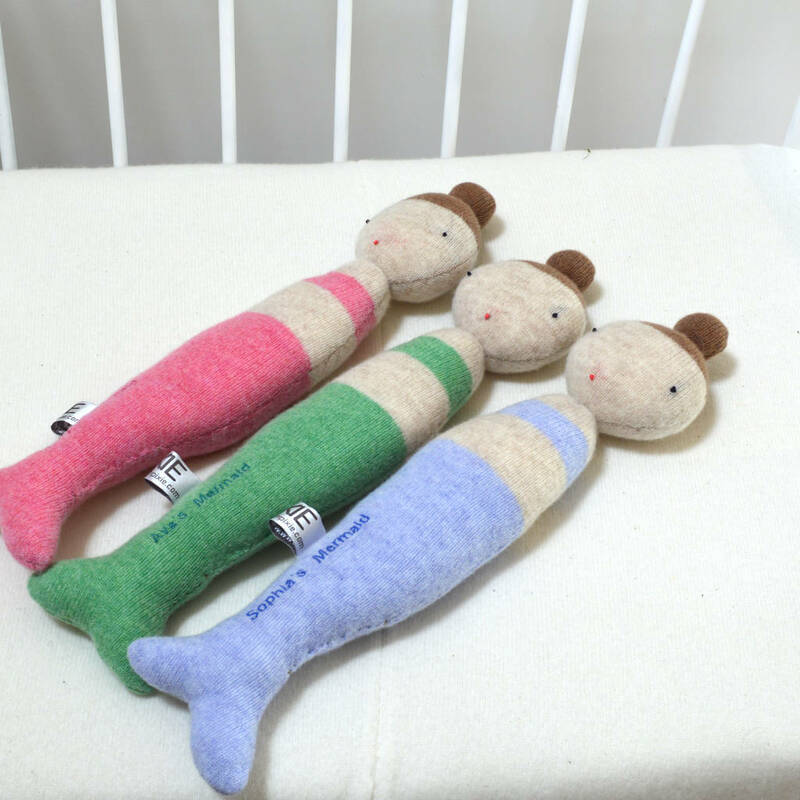 This mermaid makes a wonderful birthday or christmas gift for a child or baby. 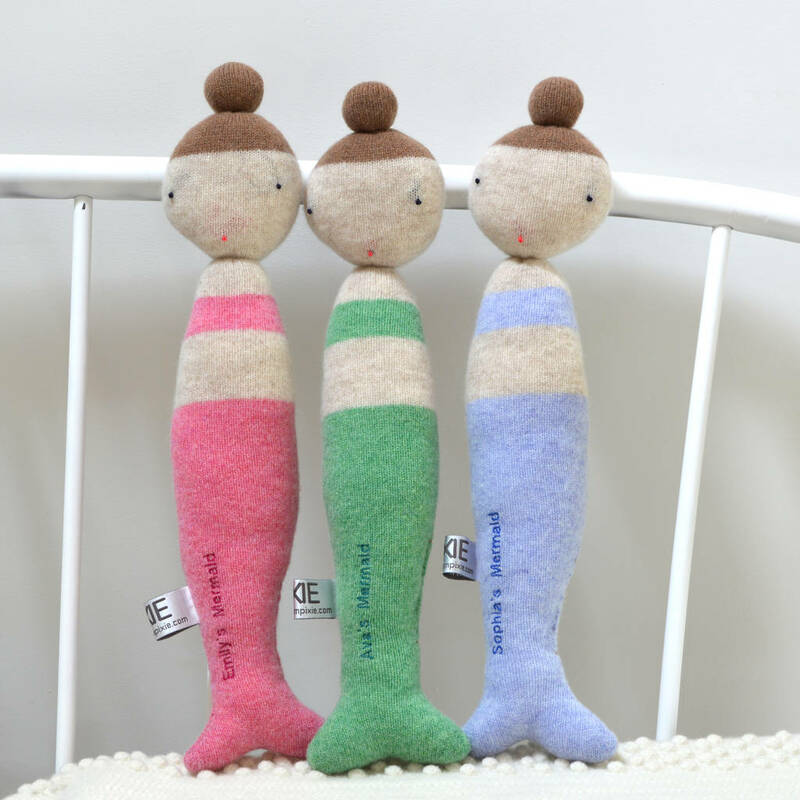 This mermaid can be personalised with a name, birthday, christening date or anything you like up to 20 characters. 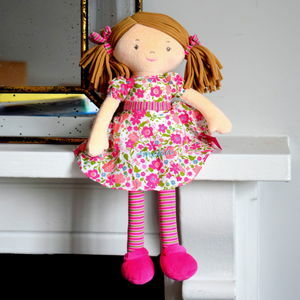 This product is dispatched to you by Warm Pixie DIY.